Unusual Wedding Entertainment - Wedding Music Your Guests Will LOVE! 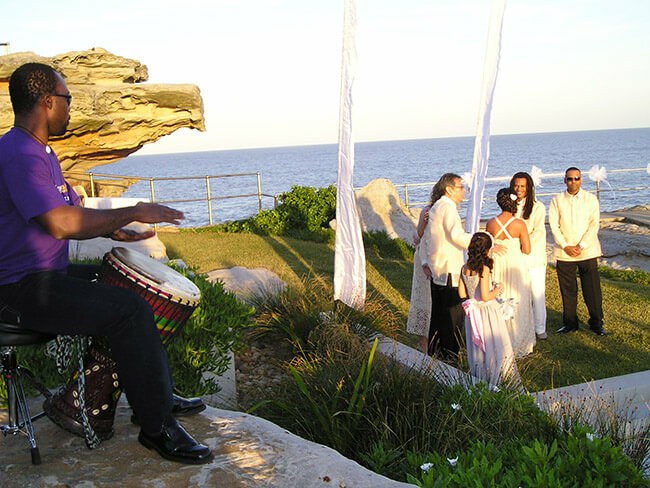 Bring joy to your wedding with the sounds of tribal drumming and a breath-taking floor show from African Beat’s Master Drummers. 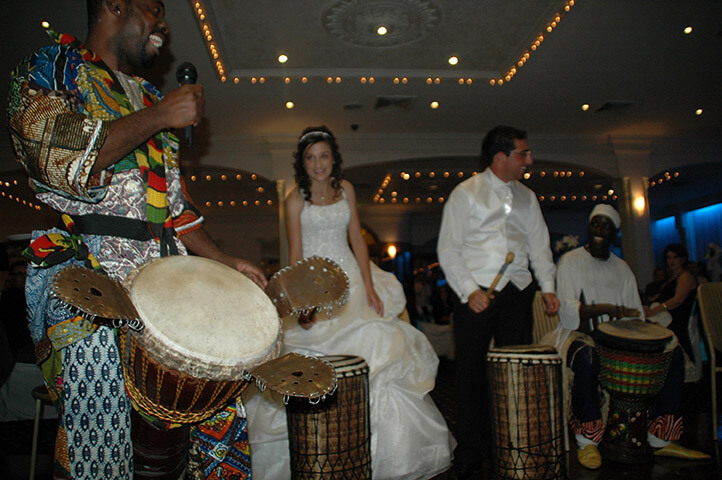 Our African wedding entertainers will delight your guests with dynamic rhythms, dancing and singing. An awesome addition to your wedding, we can also include fire performers and belly dancers. We also cater for Hens night party & bucks nights. Spoil your guests on your wedding day! With a drum for everyone, (or a selection of guests or perhaps only the bridal party), we can mix an exciting element of audience involvement into our African performance. Guests are guided to play vibrant African beats and immediately embark on a musical journey with African Beat’s Master Drummers. The entire wedding is transformed into a percussion orchestra, everyone will be involved and have a great time! Drumming is not always loud and high-energy. It can also be soothing and spiritually uplifting. African Beat knows exactly what to play at this most important moment of the wedding to make it truly special. A beautiful African harpist (Kora player) can either play solo or be accompanied by a mellow Drummer as you walk down the aisle. Let us know how we can work with you to make your wedding perfect. African Beat works with a number of the leading African-inspired fusion bands who also use Western instruments, for example mixing live drumming with bass guitar, keyboard and drum kit. This is the perfect entertainment for any wedding looking for that something a little different. Please contact us for further information.